The Pyotr Veliky’s current main armaments are Granit anti-ship missiles and the Fort air defense missile system, a naval analogue of the S-300 system. The same-class Admiral Nakhimov cruiser is currently undergoing an upgrade and is due to reach navy ranks in 2018. The tests of the 3K22 Zircon system are planned for completion by 2020. The system is expected to be unveiled in the air-launched and ship-based variants. Early rumors indicate the Indo-Russian BrahMos II hypersonic cruise missile may be an export variant of the Zircon (just as the BarhMos missile share many similarities with the Russian P-800 Oniks missile). The planned operational range of the BrahMos-II is about 300 kilometers and its speed is set to be around Mach 7 thanks to a ramjet engine. The Sevmash Shipyard and the Special Machinebuilding Design Bureau (KBSM, a subsidiary of Almaz-Antei) made a deal for 10 3S-14-11442M vertical launch systems (VLS) to equip the Project 11442M Admiral Nakhimov missile cruiser being upgraded now. The contract is valued at 2.559 billion rubles ($33.5 million). Thus, the ship’s 20 inclined below-deck launchers of P-700 Granit antiship missiles (SS-N-19 Shipwreck) will be replaced with 10 VLS modules of the UKSK versatile ship-based launch system. The VLS modules will total 80. The same solution is expected to be applied to the Pyotr Veliky cruiser. 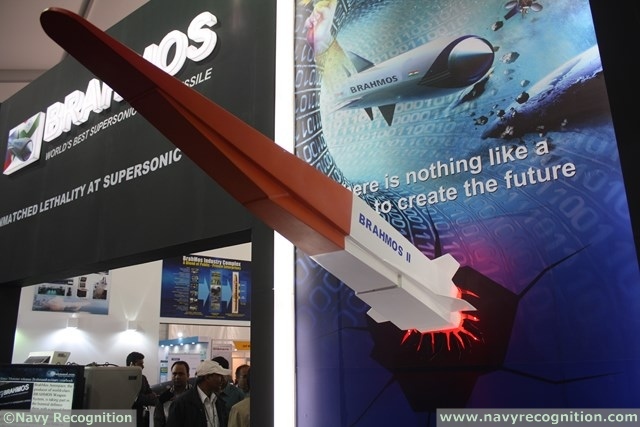 According to rumors, the Indo-Russian BrahMos II hypersonic cruise missile (pictured here at Defexpo 2014) is the export variant of the Russian 3M22 Zircon missile. When Pyotr Velikyi and Admiral Nakhimov reenter service, their current missile launch systems will be replaced with ten 3S-14 vertical launch systems—each of which carries eight rounds. Indeed, Sevmash—the shipyard refurbishing Admiral Nakhimov—signed a contract earlier last year with Almaz-Antey to provide those systems. The addition of the 3S-14 would enable each ship to carry eighty cruise missiles onboard. While the Zircon would give the two Kirov-class battlecruisers greatly improved firepower against surface ships, the warships are also being provisioned with long-range Kalibr cruise missiles. 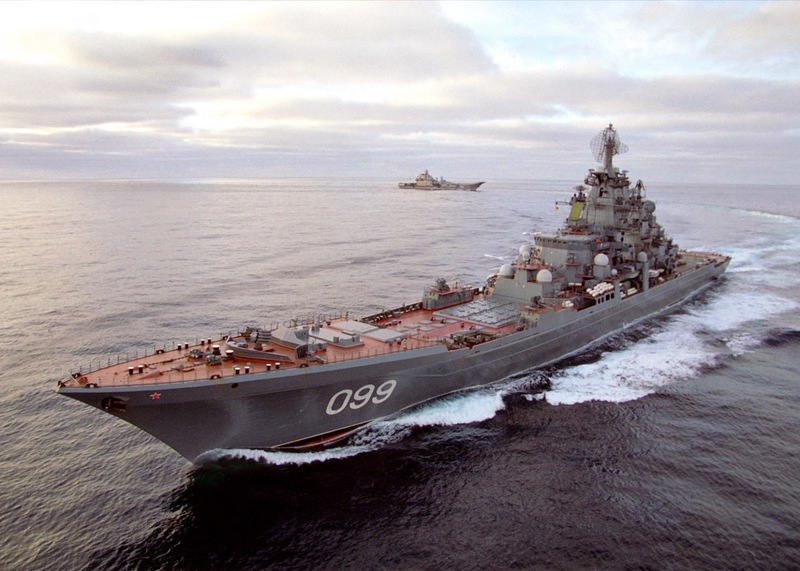 Those weapons, which were recently used against Moscow’s enemies in Syria would afford the giant warships a very potent land-attack and long-range anti-surface warfare capability.